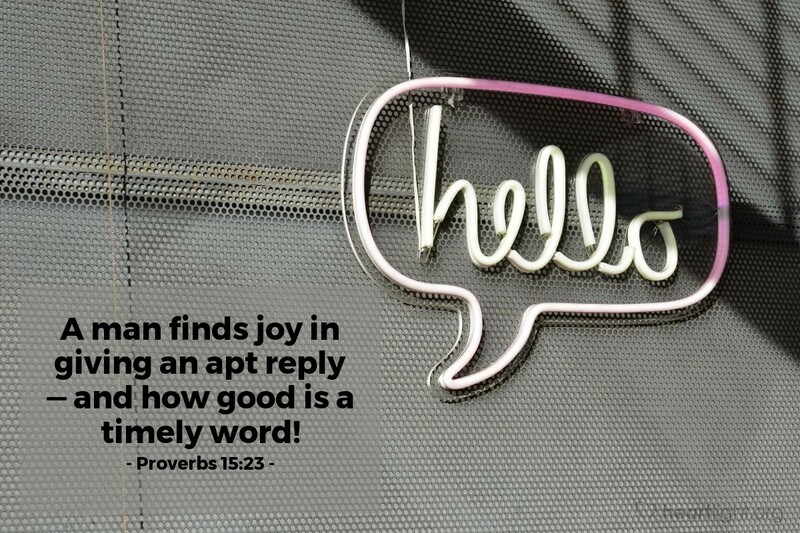 A man finds joy in giving an apt reply — and how good is a timely word! Loving Shepherd, I will spend much of my time today with people. Some of them know you, but most do not. Please give me wisdom to say things that lead people closer to you. Give me words of help and hope for the broken. Give me words of tenderness for the fainting. Give me words of direction for the confused. Father, I pray that whatever words I do say today may reflect your will and may be led by your purposes to bless others. In Jesus' name I pray. Amen.